The music of the duo can be one of the most intimate and revealing configurations in improvised music. The solo performance is one of introspection and self-revelation but the duo setting brings a heightened level of interaction and exposure to the music. This collaboration, recorded live at the 'Zoom In' festival in Switzerland in 2013, begins with the scratch and scuff of Andy Moor's electric guitar and a focus on the instruments low end. Saxophonist John Butcher comes in with a buzzing tone, making a beeline into the heart of Moor's percussive sounds. Next, Butcher takes the lead with a set of saxophonic chirps and other extended techniques that react with the harmonics and tonal clusters of the higher end of the guitar. 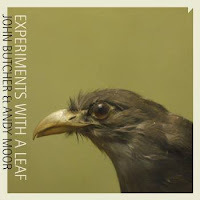 Other tracks find the duo listening intently to each other as they devise their unusually compelling tone poems, and 'Joy is the Headlight' is an absolute scorcher featuring Moor's distorted guitar and Butcher's hearty tone in an uptempo romp. This shortish release (30 minutes) is a fantastic mix of extended technique and improvised playing. Never feeling forced or unnatural, the leaf that they experiment with here is healthy and green, and firmly attached to the branch it grows from. 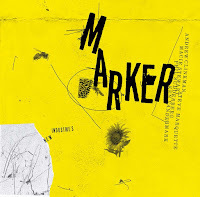 This is a fascinating recording - it captures a captivating blend of John Dikeman's incredibly powerful saxophone and Dirk Serries expressionistic electric guitar. The tracks are aptly titled: 'Monolith Song I', which opens the recording and 'Monolith Song II' which closes it, are huge moving masses of sound. Serries creates a distorted and textured slabs as Dikeman builds up layers of fiery improvisations. 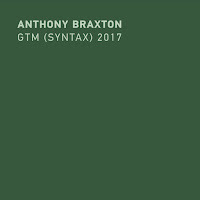 The title track takes a more nuanced and melodic approach as the guitar is pulled back in the mix and the saxophonist spins a emotional tale. Cult Exposure is an LP release with an MP3 download - but not sold separately - get it while if you can. 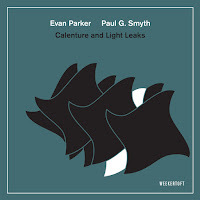 Almost primal at times, this stripped down duo release features Ben Goldberg (clarinet & Eb Bass Clarinet) and Hamir Atwal (drums) playing a set of short tracks, mostly improvised, that run the gamut from folksy whimsy to heavy metal (or rather, wood?). 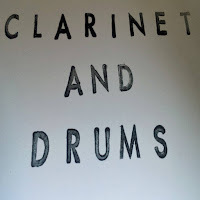 It's a joy to hear Goldberg's deep earthy timber rattling along side Atwal's skittering groove on 'All About That (contra) Bass', or the squelch that begins 'Caffeine Headache' - no instrument has the sounds that a bass clarinet can make when delving into the extended techniques. This one is a real treat! Leaps jumps right out at you. 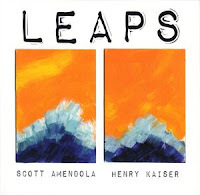 The title track off guitarist Henry Kaiser's and drummer Scott Amendola's duo album begins with a rhythmic crash and a razor thin burst of distorted guitar. Kaiser's lines mesh with Amendola's ferocity in a pulsating miasma of improvisation. It is always great to hear Amendola paired with a guitarist - whether it's the funkier playing of Charlie Hunter or the expansive brilliance of Nels Cline - he always brings the right amount of support and energy to the situation. Kaiser is a player who defies easy categorization. I was introduced to his work through Yo Miles! and he has a deep and eclectic catalog, including work with Cline. 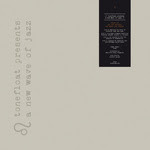 Not five minutes into the 24 minute opening track the atmosphere completely changes, and finds Kaiser working with abstract arpeggios and Amendola going textural. 'Sproing' features Kaiser digging into the blues bag a bit, but not for long, as the song shifts into quiet reflection and then leads into the desolate abstraction of 'Blinks and Blinks'. The closer 'The Wrong Suit' is a blast of avant-prog, from the insistent, but not straight ahead, pulse to the aggressive and slashing guitar work, it's a fitting closer to this duo's excellent album. From the opening notes of 'Bagsant' you can tell that you are in for an unusual guitar-heavy treat. 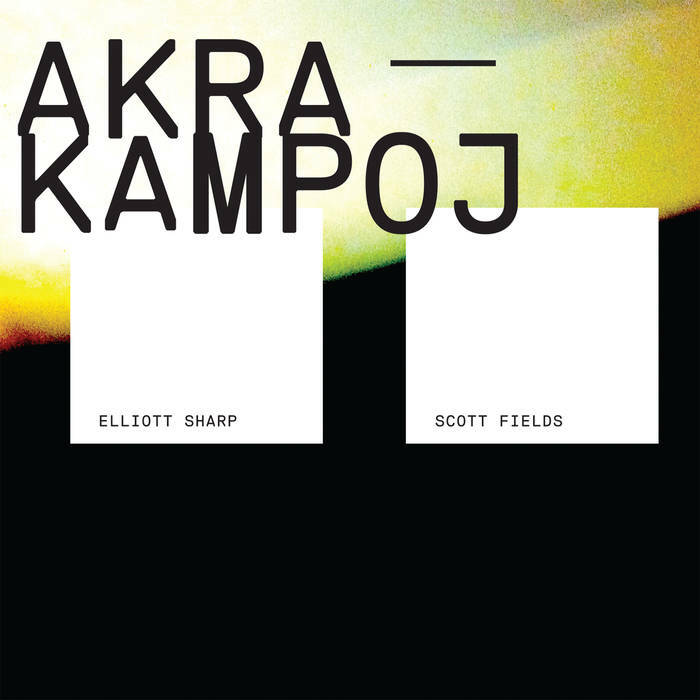 With at least 12 electrified strings between Elliot Sharp and Scott Fields, they choose play a single note figure basically differentiated only by the tone of their guitars - the left side is fuzzier. Small changes make all the difference until their lines diverge and the song opens up. 'Denisova Stomp' features some rapid melodic lines and delicate intersections but then becomes quite heavy towards the end. The elements of the track are many and varied, changing textures and tones swing from quiet to fearsome at the flick of a pick. This duo's obvious chemistry is not without some history. 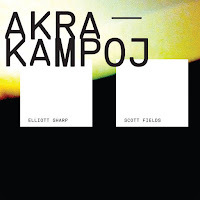 I last checked in with Fields and Sharp back in 2012 when I reviewed Afiadacampos, which was an acoustic effort. 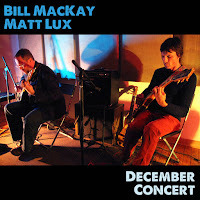 Either way, acoustic or electric, this is the work of two master musicians, who together create a fascinating world straddling composition and improvisation. This is one to file under post-rock or maybe even post-Americana. 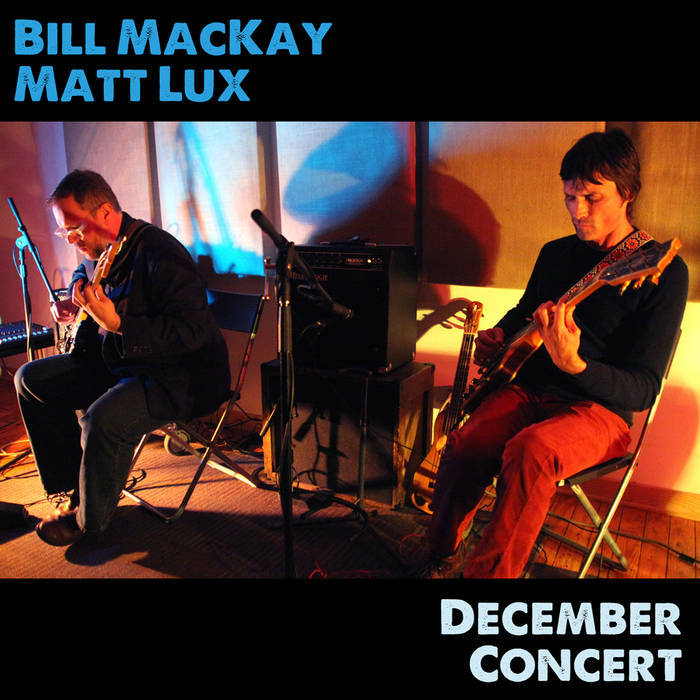 On December Concert the duo of guitarist Bill McKay and bassist Matt Lux work together to create a relaxed soundscape. 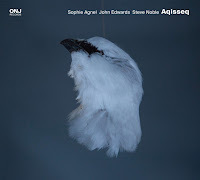 The album starts with 'Orbitz Unknown' featuring a spacious, somewhat Frisell-like atmosphere. Other tracks follow suit, but also so do more aggressive passages where the tempos pick up and distortion creeps in. In a sense, this is a more traditional duo, utilizing the instruments to create more straightforward melodies and bass lines. The songs seem structured, but loose enough to encourage that the musicians to explore on their own, while still keeping tightly connected. 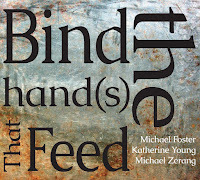 Both musicians are a part of the vibrant improvised music scene in Chicago. This intimate flute duo encounter, captured in the cozy confines of the Downtown Music Gallery is a definitely worth a listen. New Yorker Cheryl Pyle is joined by the Swedish flutist Biggi Vinkeloe for a liberating exchange of ideas. 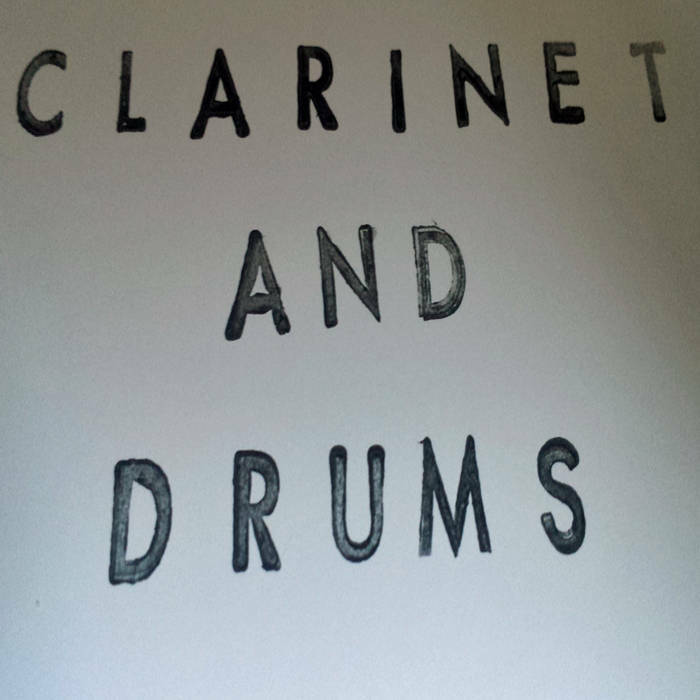 From uptempo sparring to reflective contemplation, the 15 minutes of duo flute captured here is listening time well spent. The rest of the album is with Swedish group 'Raw Sound Sweden' - is quite good as well. This is an interesting album - I was both drawn to it and a bit put off by it. What troubled me at first - and which I grew to accept at times - was the constant change of synthesizer sounds. Often, I heard the switch of the sounds as much as a part of the improvisation as the actual playing, but at other times, the sudden switches made the album seem like a demo for the instrument. 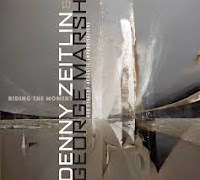 However, when no longer distracted by the 'patches', there is something really interesting in the improvised musical conversation between Zeitlin's keyboard work and Marsh's percussion, the duo's interactions reveal their long time association.